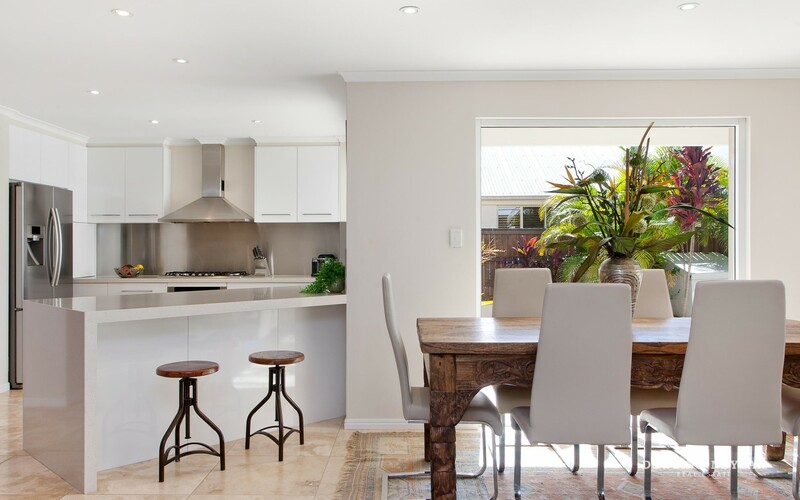 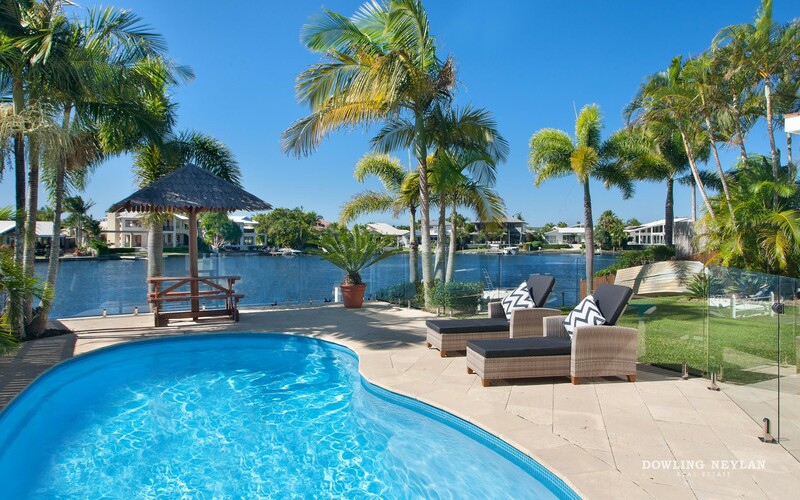 Upon entry into this recently renovated residence you are immediately impressed by the welcoming open plan layout and inviting waterfront outlook. 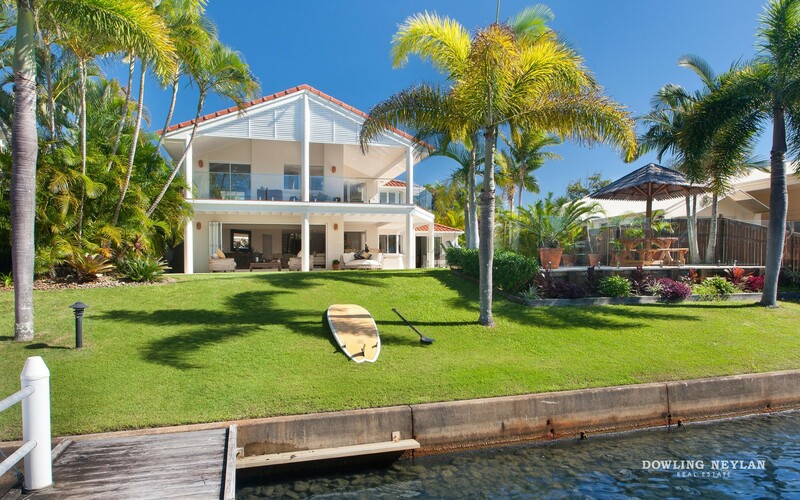 The home is set back slightly from the waterfront giving it a relaxed, private entertaining area that sprawls to a huge sun-drenched lawn right to the water’s edge. 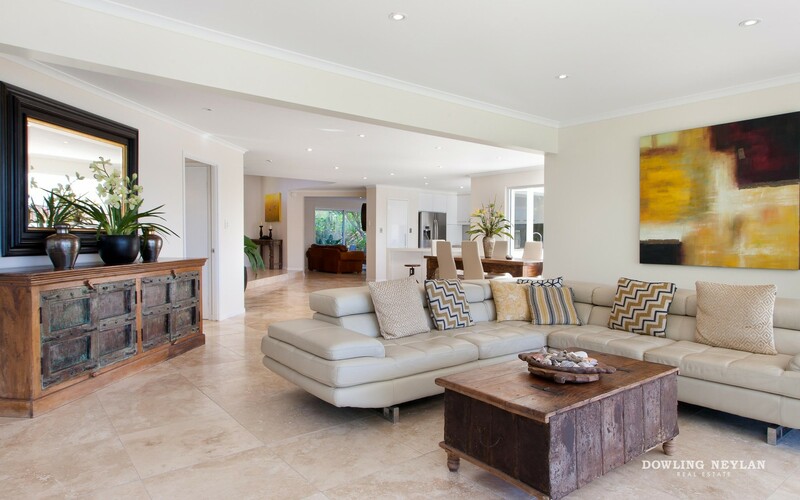 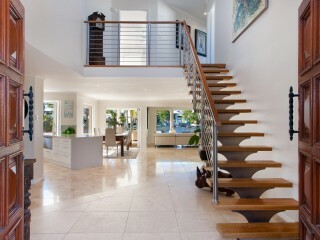 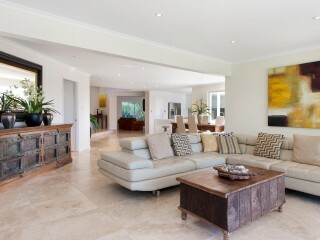 Timeless travertine tiling flows through the open, yet separate living areas downstairs. 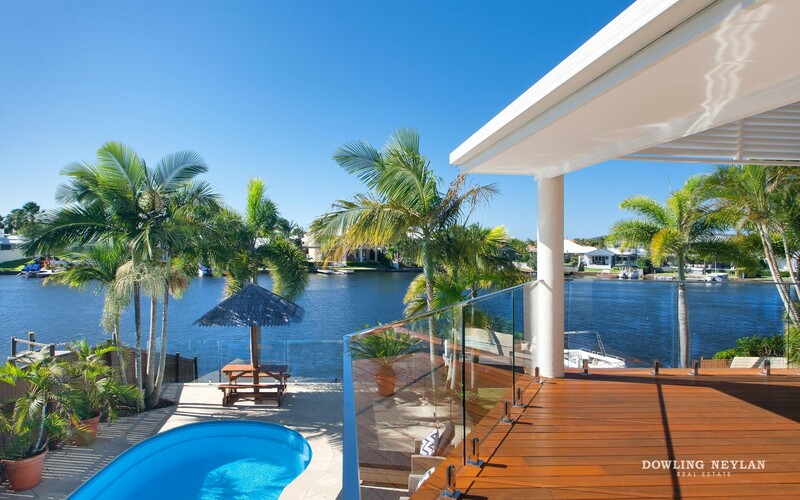 Bi-fold doors open onto a glass fenced pool with a sunny Northern aspect and a huge lawn area that leads down to your own private jetty and water-frontage. 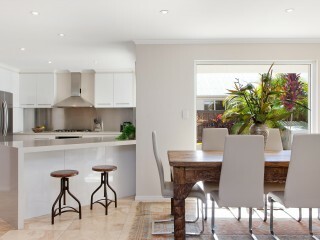 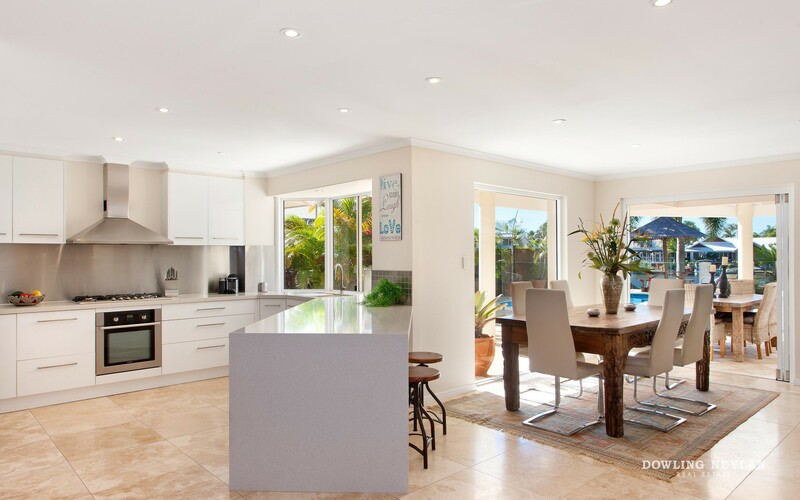 A modern kitchen with stainless steel appliances and splash back plus dual dish drawers offers good pantry space and boasts a central position in the house with views to the waterfront. 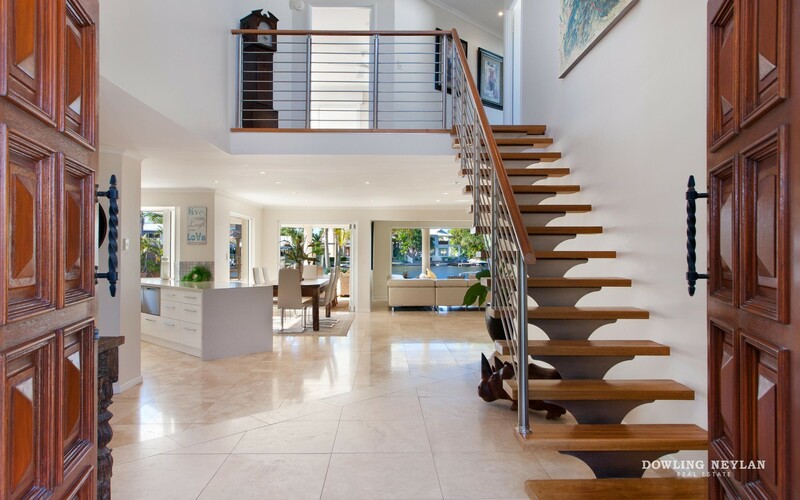 Heading up the frameless staircase gives access to 3 double bedrooms plus a further bedroom which can be used as a master retreat or second office. 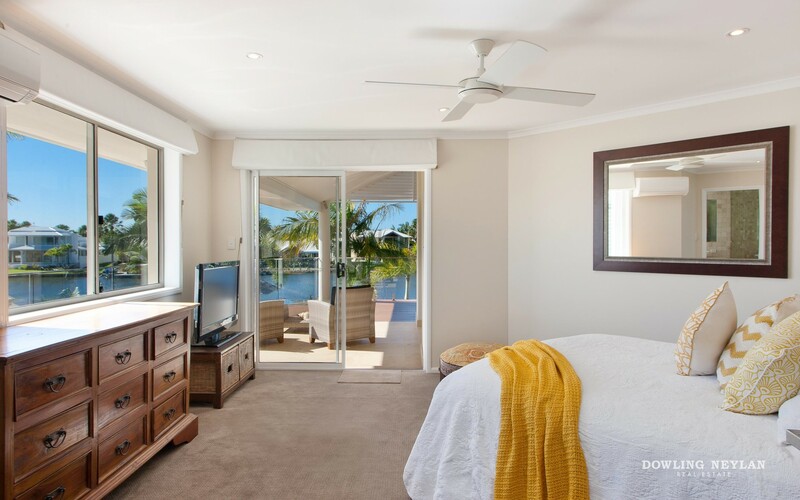 Both upstairs bathrooms are newly renovated while the master en-suite’s free standing bath enjoys river views and convenient dual vanities. 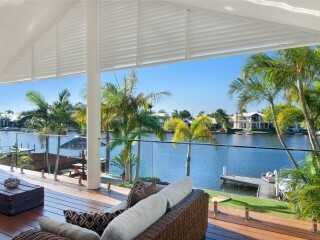 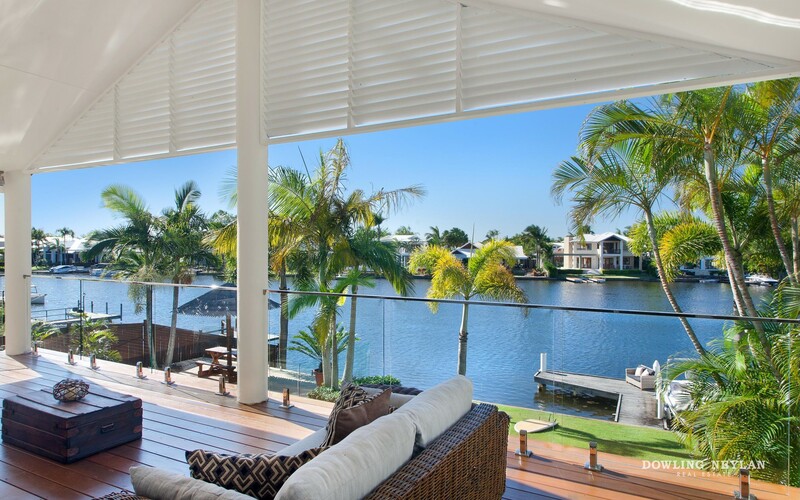 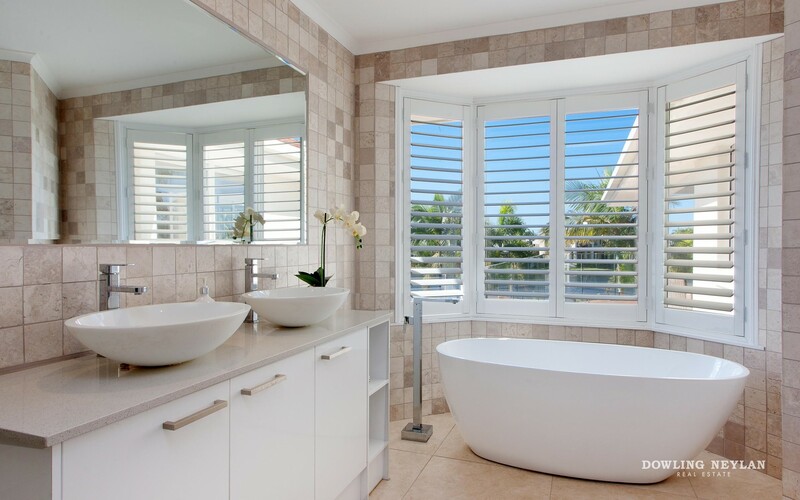 Beyond the three bedrooms that overlook the river is what has to be one of the largest balconies in Noosa Waters. 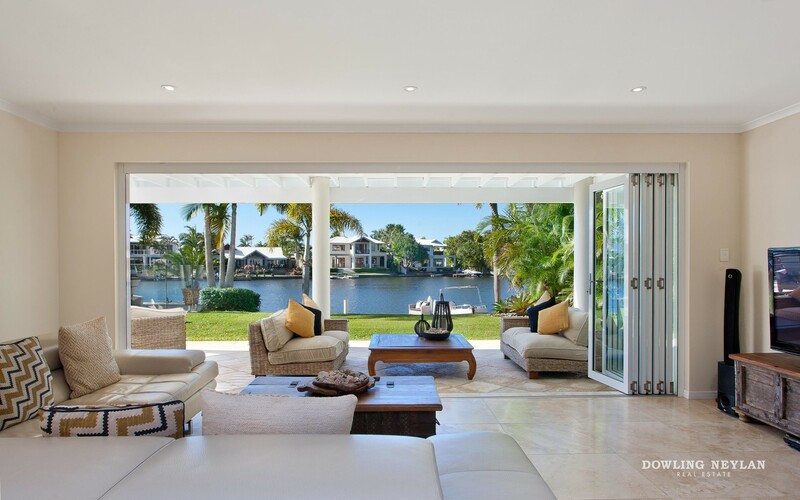 This phenomenal space is perfect for entertaining or relaxation while enjoying the northern aspect and being able to watch over the pool, river and yard. 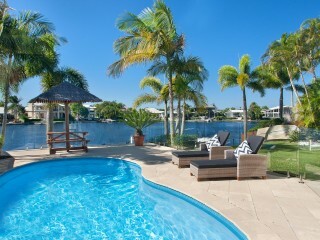 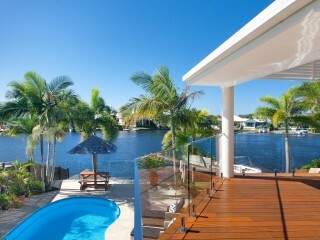 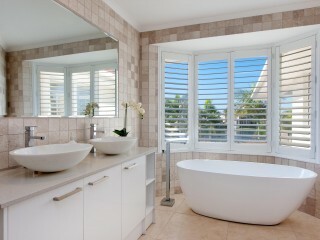 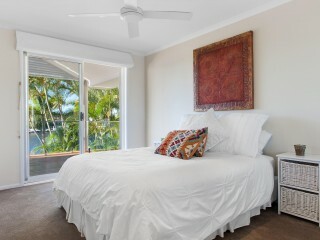 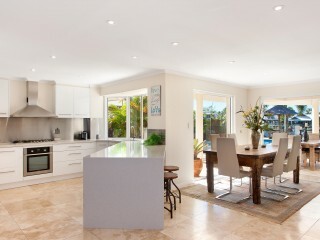 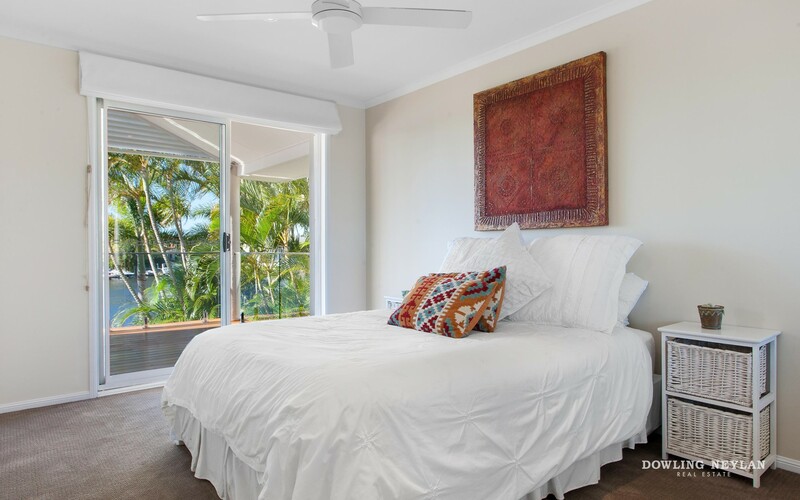 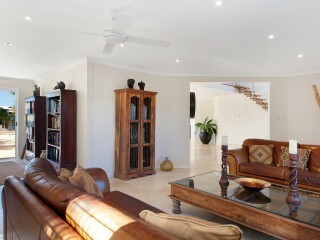 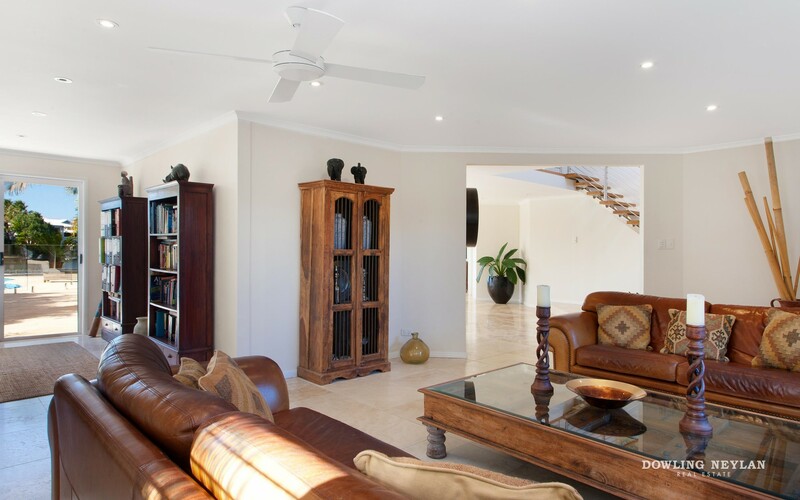 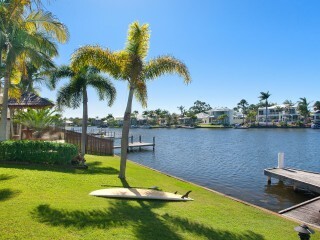 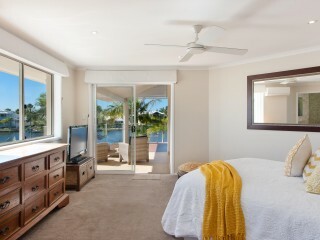 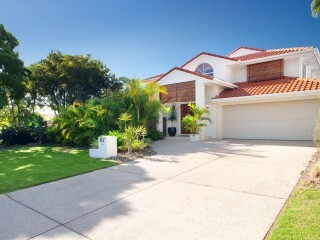 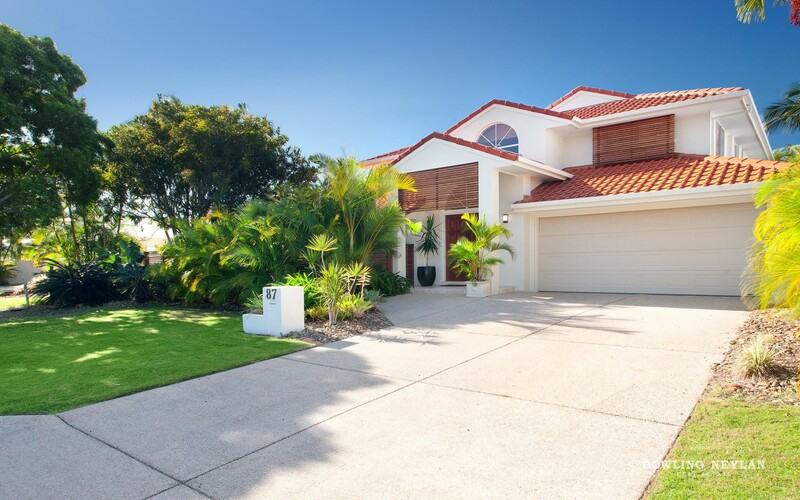 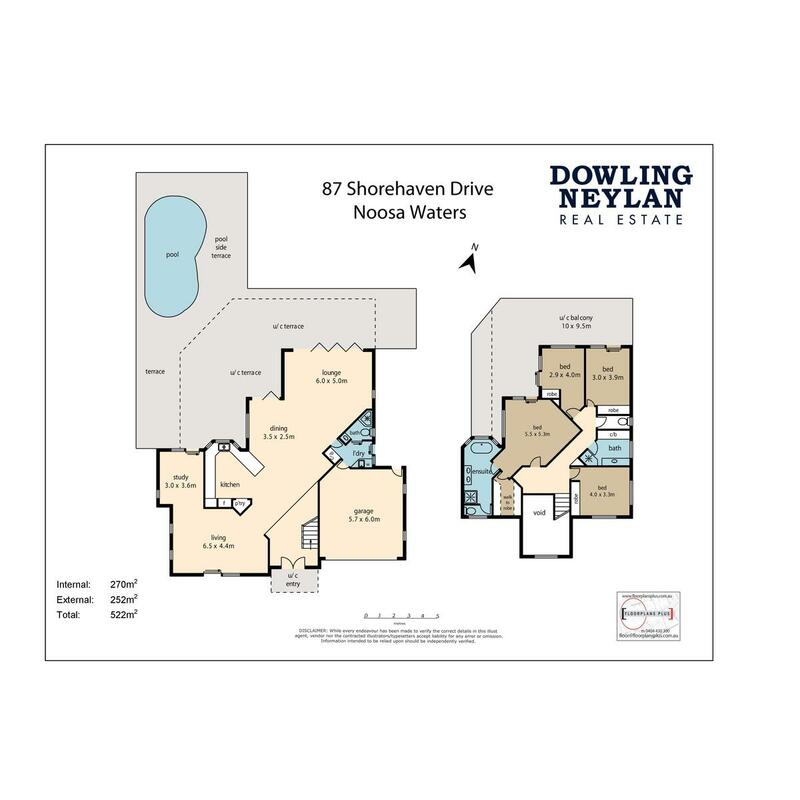 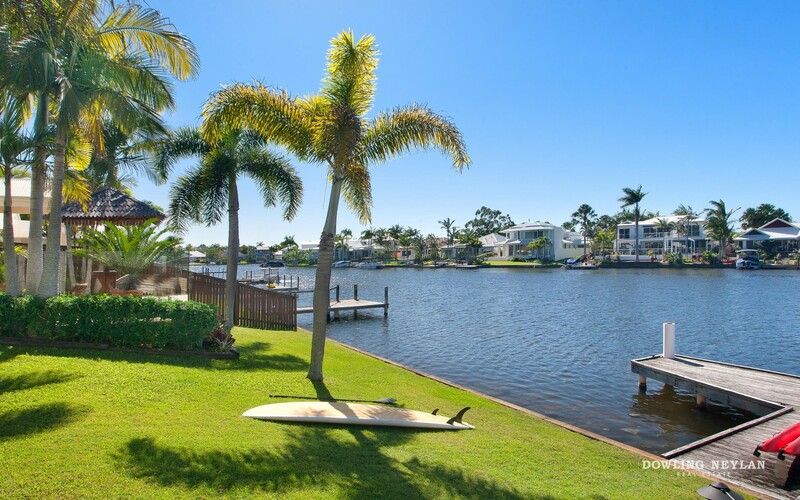 Start living your Noosa dream today by arranging your private inspection of 87 Shorehaven Drive Noosa Waters.